8787 Bay Colony Dr #501, Naples, FL.| MLS# 219011660 | Bonita Springs, Estero, Naples, Fort Myers Beach FL Real Estate | Marie Pimm PA Realtor. Representing U.S. and International Buyers and Sellers in the purchase and sale of investment or personal property. Marie is a skilled 1031 Exchange Realtor. Incredible offering of over 4800 square feet of living in an open floor plan layout with meticulous attention to detail including marble flooring, custom built-in tray ceiling details and moldings, granite countertops, floor to ceiling sliding glass doors, an expansive 75â long screened wrap around terrace, and infinite space for hosting friends and family with 3 full guest suites in a soothing coastal color palette, all with en suite bathrooms and a completely private master bedroom escape, with master bathroom featuring a spa quality center located jetted tub and spacious dual vanities. Trieste residents enjoy a geo-heated tropical pool, a well-equipped fitness room, social room, library, staffed front desk in lobby, guest suites, and more. Stroll to the beach for a relaxing day at the private Bay Colony Beach Club with attended beach services, work on your serve at Bay Colony's tennis club, or simply sit and enjoy the newly renovated beach club restaurant. 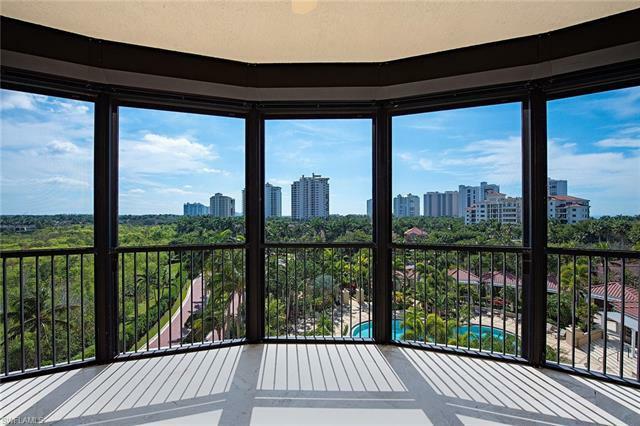 Trieste is the newest tower in Bay Colony and it makes a perfect home for living an unsurpassed Naples lifestyle! Pets Limit Other: No Higher Than 15"